We are Very excited the announce that FitPAWS and DogTread will be at Crufts this year on their own dedicated stand in Hall 3. Just behind our usual Camddwr Stand in Hall 3 (stand 84) We are thrilled to be able to bring to you the full range of FitPAWS Equipment, which will be in use on the Stand: and also the Medium and large DogTread Canine Treadmill on show:and in use. 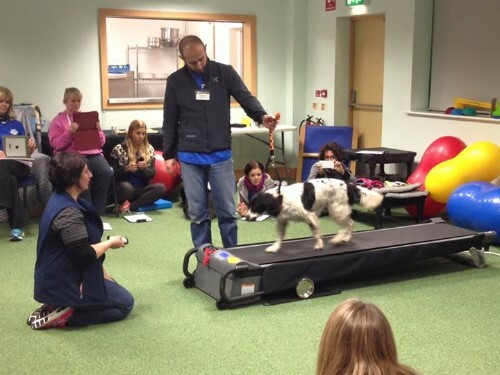 You can see these amazing Treadmills working and find out how they can enhance a Training regime of the Canine Athlete not just for Cardio use but also for canine Cross and Strength Training too! It has to be the most versatille Canine Tredmill on the Market and they are now available in the UK! 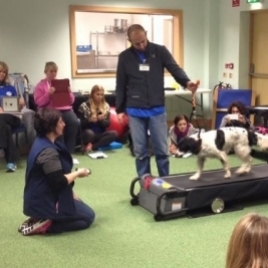 We will also have news of our next FitPAWS Master Trainer Course in the UK- Come and find out more at the Show.